1. 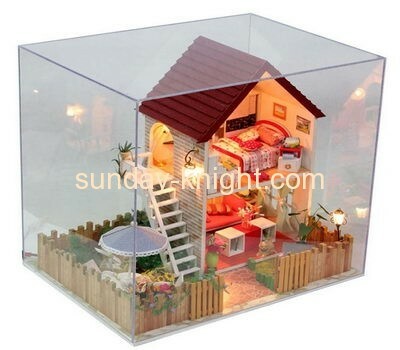 We has specialized in producing all kinds of acrylic display toy box over 15 years, and we do accept your custom design. 2. The sampling time: 3-5 days without silk screen printing/laser engraved logo, 5-7 days with silk screen printing/laser engraved logo. 3. Sample payment: small and medium acrylic makeup organizer--50 USD/ pcs, large acrylic makeup organizer--100 USD/ pcs without including delivery fee. 4. Our professional designers help your designs. 5. Absolutely high quality sample and bulk. And lots of acrylic display cases samples in our show room, welcome your checking any time. 6. The standard producing time for one item: 15-35 days. If your item is urgent, you can let us know. 7. Welcome the field inspection any time.